Living in Parodox: It is the best of times; it is the worst of times. Remember the Scottish Wildcat ? BBC Animal Science — A scientist who has developed a genetic test to identify pure Scottish wildcats has warned that the species could be extinct within two years. Dr Paul O’Donoghue said cross breeding with feral and hybrid cats made extinction a certainty unless “urgent” conservation activity took place. The University of Chester biologist said pure wildcats should be trapped. He also suggested that private individuals could be keeping the “very best” wildcats as pets. The senior lecturer in biology asked for these people to come forward and help with the conservation effort. The biologist said the species was now one of the rarest in the world. He said it was of the “utmost importance” that large scale live trapping took place and cats found to be pure-bred wildcats then be placed in protected areas in the west Highlands. Posted in CRITICAL, DANGER, The Internet, Worst of Times | Comments Off on Remember the Scottish Wildcat ? LearnStuff — Allison Lee writes: Thanks to extensive research and noticeable changes in weather and storm prevalence, it’s getting harder to turn a blind eye to the reality of climate change. Since the Industrial Age spurred the increasing usage of fossil fuels for energy production, the weather has been warming slowly. In fact, since 1880, the temperature of the earth has increased by 1 degree Celsius. Although 72% of media outlets report on global warming with a skeptical air, the overwhelming majority of scientists believe that the extreme weather of the last decade is at least partially caused by global warming. Some examples of climate calamities caused partly by global warming include: Hurricane Katrina, drought in desert countries, Hurricane Sandy, and tornadoes in the Midwest. These storms, droughts, and floods are causing death and economic issues for people all over the world – many of whom cannot afford to rebuild their lives from the ground up after being wiped out by a tsunami or other disaster. CommUnity of Minds — Don Halcom writes: In the next sixty years the entire world will be forced to re-create itself. This is not a prophecy of doom but a fact. The single event that will require this re-creation is the exhaustion of fossil fuels. The world consumption of energy per capita grows faster, with respect to time, than the population growth. This predicts the exhaustion of fossil fuels sooner than the optimists calculate. The entire infrastructure created by the exploitation of fossil fuels will have to be replaced by a new one. Literally everything will need to be changed. The clothes we wear, the food we eat, the houses we live in, the lights we use, the heat we need, the transportation we use, the roads we use, the medicines we need, the energy we use — everything about the infrastructure will have to be re-created. We are that dependent upon fossil fuels. The desperation of this event cannot be minimized. Politicians, economists, businessmen, philosophies, governments, armies or the clergy will not solve this problem. Only one institution has any chance of performing this re-creation and that is science. Without science, all the other institutions are useless for this task. The most important conclusion is that massive energy consumption is the creator of population growth. We cannot support 7 billion people (or more) without the use of fossil fuels energy. There is only a finite amount of sunshine and land to create the future energy requirements. We must reduce our current crude oil energy equivalent consumption by an estimated 80%. About 20% of our current crude oil energy consumption should support a world population of about 1 billion with a life style similar to our current system. Here is the most difficult part to execute; we must initiate controlled population reduction in a planned way over about the next sixty year from about 7 billion to about 1 billion. Population should stabilize at about 1 billion. Our grand children demand it. Religion will be the major obstacle here. In my opinion, wars are not ethical solutions. About 12% of the earth’s agricultural land could be devoted to BioDiesel production. This is about four times the current land used for cooking oils. Remember that at least 60% of the earth’s agricultural land is required to maintain the current status quo of crude oil based energy equivalence. I did not include coal and natural gas in these calculations which will also become exhausted in the future. To replace the latter two will require even more agricultural land. The game only gets more intractable. We will have to determine the plants we want to use to replace the coal and natural gas. Got any good ideas? I will guarantee that no “computer” scientist or economist or banker or politician or stock market analyst or pure mathematician or justice of the Supreme Court will solve these problems. Diesel engines and jet turbines will be the only engines in the future. Electric motors/generators will also be used. We are no longer going to have the energy resources to employ all of our current working population when fossil fuels become extinct. We are already seeing hints of this. All of the infrastructure will be smaller as well as the goods for sale from such a system. All of economics is the result of the real physics of the planet and not the reverse. We can only use what we are given. Failure to abide by the above suggestions will result in the ugliest set of wars we can imagine and will kill most of our grand children in a short period of time. Stupidity is not an excuse. I apologize for presenting such a dark calamity but it is better to know about it now than to wake up one morning and find WWIII erupting outside our windows. It will happen if we do not wisely execute the transformation of our existing infrastructure and that begins now, not 50 years from now. Time and resources are the enemies. National Journal — More than one in seven young Americans are “disconnected” from work and from school, according to a report released Thursday by the Social Science Research Council‘s Measure of America project. The report (PDF) is based on data from the U.S. Census and American Community Survey, and looks specifically at the numbers of young people aged 16 to 24 who are not working nor enrolled in school. The report tracked the data for the U.S. as a whole, in comparison to other countries, by race, and for the 25 largest metro areas as well as neighborhoods within cities. Nationally, over 5.8 million young people (almost 15 percent) are disconnected — a figure that grew by 800,000 as a result of the economic crisis, according to the report. 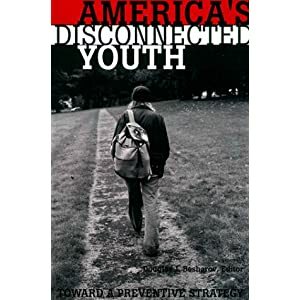 Globally, the U.S. has a higher rate of youth disconnection than many advanced nations, including the United Kingdom (13.4 percent), Austria (11.4 percent), Canada (10.5 percent), Germany (9.5 percent), Norway (9.2 percent), Finland (8.6 percent), Switzerland (6.8 percent), Denmark (5.7 percent), and the Netherlands (4.1 percent). Youth disconnection varies substantially by race. More than one in five (22.5 percent) young African-Americans are disconnected, 18.5 percent of Latinos, 11.7 percent of whites, and just 8 percent of Asian-Americans. Phoenix, Arizona, has the highest rate of disconnected youth, at 18.8 percent. Miami is second (17.1 percent), and Detroit third (17.0 percent). These three metros, so hard hit by the economic collapse, attest to the lingering effects of the crisis on the economic status of young people. Seven of the 10 metros with the highest levels of disconnected youth are in the Sunbelt. What Makes You Think We Can Grow Out of This? CommUnity of Minds — Donald Halcom writes: As I sit here pondering the current status of the USA, I am struck by the conclusion that all of the politicians, business men, and economist have reached. They all believe that the only solution to the current economic mess of the USA is growth. Only growth will solve our problems. In fact only sustained growth will do it. When all these people believe the same thing then I suspect that something is wrong. The mechanism by which the growth is to be obtained differs with respect to political persuasions, but it is always growth that will perform the miracle. The question then occurred to me —– Is sustained growth over decades even possible? Is such an assumption even valid? The last time the world was in this predicament was after WWII. All of Europe and the Orient were in shambles. The USA had a national debt of more than its GDP like it does now. The USA had one advantage. It was the only economy left whose manufacturing base was still viable. The USA had essentially financed WWII for the allies by selling bonds. In 1945 the national debt as a percent of the gross domestic product (GDP) was 109%. Over the next 35 years the debt was paid down by the government represented by all the presidents (Democrat and Republican) from Truman to Carter until the debt as a percent of the GDP was 33%. When Reagan was elected president things changed. The debt began to rise almost continuously till in 2012 it was 102 percent of the GDP. The last four years have given the most precipitous rise. The next graph shows the recent history. In about 31 years we have accrued a debt as a percent of GDP almost equal to the debt of WWII. Since WWII the USA has become a different country. We now have a world full of economic competitors. Our old monopoly is gone. Europe, parts of South America, the Middle East, the Far East and a few countries in Africa have all become major rivals for resources and trade. The above data indicates that politics have been a major factor in the increase of the National Debt but that alone was not the problem. The demands of Banks, Wall Street and Hedge Funds have been major factors in increasing our economic woes. The debt from 2007 to the present, indicate these factors. Some claim that had we used the proper governmental legislation, then the debt crisis from 2007 onward could have been avoided. This is true, but that is water over the dam. Mankind has never been omniscient and will not be so in the future. Posted in CommUnity of Minds, CRITICAL, Economics, Politics, Worst of Times | Comments Off on What Makes You Think We Can Grow Out of This? Arctic Warming Accelerating! ! ! BBC Polar Science — Scientists in the Arctic are warning that this summer’s record-breaking melt is part of an accelerating trend with profound implications. Norwegian researchers report that the sea ice is becoming significantly thinner and more vulnerable. Last month, the annual thaw of the region’s floating ice reached the lowest level since satellite monitoring began, more than 30 years ago. It is thought the scale of the decline may even affect Europe’s weather. The melt is set to continue for at least another week – the peak is usually reached in mid-September – while temperatures here remain above freezing. The Norwegian Polar Institute (NPI) is at the forefront of Arctic research and its international director, Kim Holmen, told the BBC that the speed of the melting was faster than expected. The institute has been deploying its icebreaker, Lance, to research conditions between Svalbard and Greenland – the main route through which ice flows out of the Arctic Ocean. During a visit to the port, one of the scientists involved, Dr Edmond Hansen, told me he was “amazed” at the size and speed of this year’s melt. Posted in CRITICAL, DANGER, Science, The Internet, Worst of Times | Comments Off on Arctic Warming Accelerating! ! ! Science now affects every aspect of life and is an increasingly important topic in national policymaking. ScienceDebate.org invited thousands of scientists, engineers and concerned citizens to submit what they felt were the the most important science questions facing the nation that the candidates for president should be debating on the campaign trail. 1. Innovation and the Economy. Science and technology have been responsible for over half of the growth of the U.S. economy since WWII, when the federal government first prioritized peacetime science mobilization. But several recent reports question America’s continued leadership in these vital areas. What policies will best ensure that America remains a world leader in innovation? 2. Climate Change. The Earth’s climate is changing and there is concern about the potentially adverse effects of these changes on life on the planet. What is your position on cap-and-trade, carbon taxes, and other policies proposed to address global climate change—and what steps can we take to improve our ability to tackle challenges like climate change that cross national boundaries? 3. Research and the Future. Federally funded research has helped to produce America’s major postwar economies and to ensure our national security, but today the UK, Singapore, China, and Korea are making competitive investments in research. Given that the next Congress will face spending constraints, what priority would you give to investment in research in your upcoming budgets? 4. Pandemics and Biosecurity. Recent experiments show how Avian flu may become transmissible among mammals. In an era of constant and rapid international travel, what steps should the United States take to protect our population from emerging diseases, global pandemics and/or deliberate biological attacks? BBC Animal Science — The British butterfly population is continuing a marked downward trend. This is according to a national survey which revealed that numbers of the insects fell by more than 20% between 2010 and 2011. In July and August 2011, more than 500 volunteers counted butterflies on these patches of countryside. Each person counted an average of 47 butterflies and saw seven different species. This is a reduction of more than 20% in the number of butterflies per survey compared to 2010. It is also a 40% reduction compared with 2009, when each recorder saw an average of 80 butterflies and eight different species. 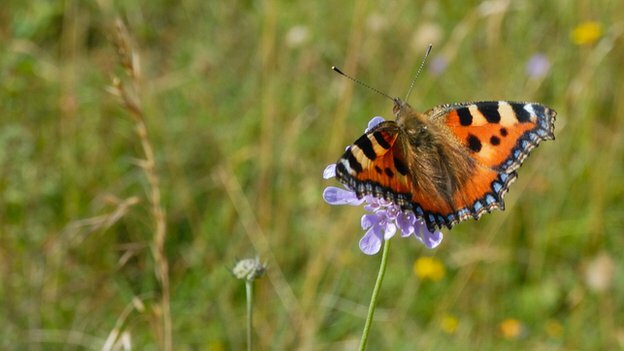 Butterfly Conservation has blamed the decline on “last year’s record-breaking cold summer”, but also said there was a long-term and “ongoing deterioration of suitable butterfly habitat across the countryside”. A Jubilee for Student Debt? Yes! Magazine — Ellen Brown writes: Among the many ideas posed by different groups of protesters on Wall Street and around the nation is student debt forgiveness—a debt “jubilee.” Occupy Philly has a “Student Loan Jubilee Working Group,” and other groups are studying the issue. Commentators say debt forgiveness is impossible. Who would foot the bill? But there is one deep pocket that could pull it off—the Federal Reserve. In its first quantitative easing program (QE1), the Fed removed $1.3 trillion in toxic assets from the books of Wall Street banks. For QE4, it could remove $1 trillion in toxic debt from the backs of millions of students. The economy would be the better for it, as was shown by the G.I. Bill, which provided virtually free higher education for returning veterans, along with low-interest loans for housing and business. The G.I. Bill had a sevenfold return, making it one of the best investments Congress ever made. There are arguments against a complete student debt write-off, including that it would reward private universities that are already charging too much, and it would unfairly exclude other forms of debt from relief. But the point here is that it could be done, and it would represent a significant stimulus to the economy. Toxic Student Debt: The Next “Black Swan”? The Occupy Wall Street movement is heavily populated with students—many without jobs—groaning under the impossible load of student debts that have been excluded from the usual consumer protections. A whole generation of young people has been seduced into debt peonage by the promise of better jobs if they invest in higher education, only to find that the jobs are not there when they graduate. If the students default on their loans, lenders can now jack up interest rates and fees, garnish wages, and destroy credit ratings; and the debts can no longer be discharged in bankruptcy. Posted in Best of Times, Crisis, Worst of Times | Comments Off on A Jubilee for Student Debt? CommUnity of Minds— Donald B. Halcom writes: The recent history of the United States of America has indicated a propensity for economic “bubbles”. The “.com” bubble of the 1990’s, the “housing bubble” of the 2000’s and indeed the current National Debt crisis of the USA are all manifestations of bubbles. The belief in bubbles is inherently tied to a false belief in the infinite. This is a false belief because there is nothing on the earth that is infinite. Infinite growth of money, property values, debt, the stock market or any other earthly resource is physically impossible. We all live on a finite planet with finite resources. There are those who will claim that the National Debt is not a bubble. This is profoundly not true. The payment of the National Debt is based upon the false assumption of continuous and unrelenting growth of the US economy. These false assumptions based upon infinite growth will produce monumental tragedies eventually. This is being written with the intent of educating as many people as possible about a future that may be absolutely devastating or, if we execute well, a new dawn for mankind. 1) Fossil fuels are finite resources. 2) Sunshine is a finite resource. 3) Fossil fuels stored the sun’s energy over millions of years. 4) We are about to consume all this energy over about 300 years. 5) Once this stored energy is consumed, the energy party is over. 6) Fossil fuels are also the sources for many chemicals. 7) When fossil fuels are gone, our chemical party is also over. 8) The infrastructure of the world will change post fossil fuels. 9) A new infrastructure must replace the old before the old dies. 10) Failure to do so will produce devastation. The history of the world has always been about the exploitation of resources in one form or another. Before the year 1800, these exploitation’s were mainly about agricultural resources. Agriculture requires arable land and a consistent supply of water. Wild trees and grasses are also agricultural resources. Countless wars were fought over these resources. Resource wars over minerals such as precious metals and iron were also important. About the only exceptions to these resource wars were religious wars. Using the year 1800 as a reference, mankind’s resources began to change. The exploitation of coal began and this initiated the Industrial Revolution. The invention of the steam engine led to larger scales of farming and locomotives plus much more. 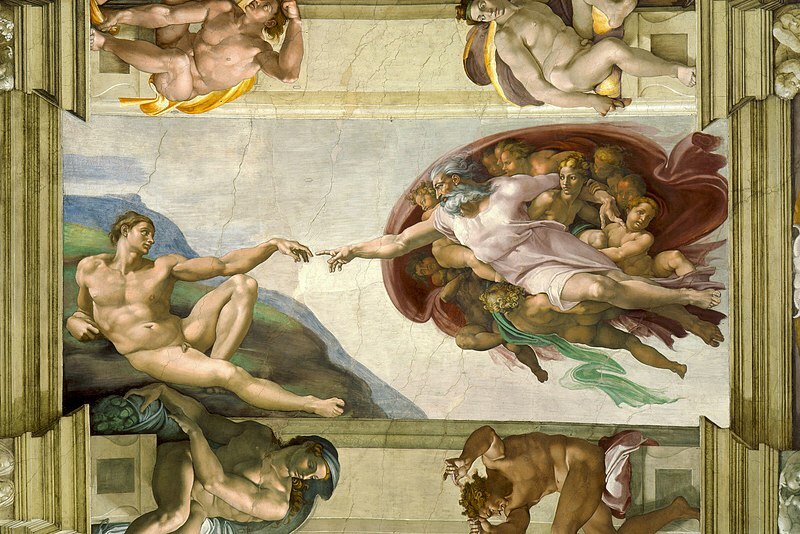 Mankind cannot exploit what he does not know exists. Somewhere around 1860 the exploitation of oil began. Fossil fuel exploitation, including natural gas, really began to grow. Internal combustion engines were invented, without which the airplane would not exist. People like Thomas Edison, Nikola Tesla and James Clerk Maxwell came along. These people, among others, led to the exploitation of hydroelectric power as well as fossil fuel fired electrical plants. About the year 1900 the exploitations of fossil fuels were in full bloom.